A December 5 trial selection order issued by U.S. District Judge David R. Herndon has identified 33 Yasmin and Yaz birth control lawsuits to be readied for trials that may begin as soon as May of 2015. The cases included in Judge Herndon’s order all include claims pertaining to arterial thrombotic events and complications related to patent foramen ovale. These key trials will mark an important milestone in the ongoing litigation saga between thousands of plaintiffs and Bayer HealthCare, the manufacturer of the contraceptive drugs at issue. Dating back to 2009, lawsuits filed against the maker of the Yaz and Yasmin birth control drugs have been consolidated into a multi-district litigation (MDL) under the auspices of Judge Herndon in the Southern District of Illinois. At the peak of the MDL, roughly 12,000 individual cases had been brought into these proceedings. However, Bayer eventually agreed to settle with thousands of those plaintiffs, primarily those who claimed they had suffered pulmonary embolisms, deep vein thrombosis and/or gallbladder issues due to their use of Yaz or Yasmin. To date, Bayer has refused to settle approximately 5,000 other Yasmin and Yaz birth control lawsuits. These unresolved cases all involve allegations of injuries related to arterial clotting and patent foramen ovale. Further, Bayer announced earlier in 2014 that it would not agree to a so-called “Lexecon waiver” and would instead assert its rights to prevent Judge Herndon from hearing cases originating outside of the Southern District of Illinois. The drug maker sought to have all such remaining cases remanded to their courts of origin following completion of the MDL discovery process. However, Judge Herndon identified specific cases in which venue was properly fixed in the Southern District of Illinois, and from this pool he has slated multiple matters for early “bellwether” proceedings. The purpose of designating particular cases as “bellwether” trials is to assist the parties in assessing the relative merits of their legal arguments and evidence and measure likely juror reactions in subsequent, substantially similar matters. Ultimately, this is intended to facilitate settlement negotiations wherever possible. Judge Herndon is of the opinion that by preparing these specifically identified cases for trial, both sides will discover new aspects of their opponent’s positions which will make resolution easier to achieve. 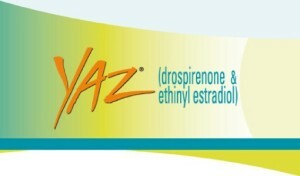 The drugs Yaz and Yasmin were initially touted as being breakthrough innovations in the oral contraceptive market. Represented as being effective, safe methods of birth control, the medications were also said by Bayer to be useful in the treatment of premenstrual dysphoric disorder and even adult acne. However, these claims were soon undermined by a wave of adverse event reporting that included extremely dangerous complications such as stroke, blood clots, heart attack and gallbladder disease. The allegations surrounding the risks posed by these drugs were indeed well-founded, as evidenced by subsequent warnings from the FDA and the agency’s requirement that all Yaz and Yasmin labeling be changed to reflect the danger. Recent years have witnessed an onslaught of litigation brought by women across the country who claim that Bayer negligently designed and marketed a defective and dangerous product, failed to warn physicians and patients of known risks, fraudulently concealed negative information about the drug, misrepresented its supposed benefits and breached express and implied warranties. Having reached large-scale Yaz settlements with significant groups of plaintiffs, Bayer’s willingness to resolve the several thousand claims still outstanding remains to be seen. The bellwether trials set to begin in May of 2015 may finally yield the insights and answers many legal observers have long been seeking.